Do you like Heroes in Super Action Adventure? Share it with your friends. 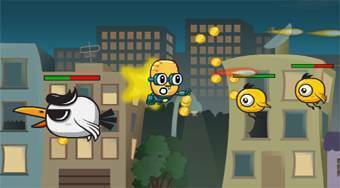 Heroes in Super Action Adventure - playing a role of a flying hero save our planet from the invasion of enemy birds.